What Can Silidyn Muscle and Joint Gel Do for Me? Is a new breakthrough stabilized form of fully skin absorbable Ortho Silicic Acid (OSA). 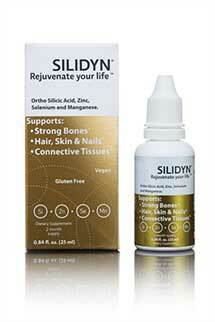 The patented gelatinous substance of Silidyn® OSA Muscle & Joint Gel with its multifunctional composition is developed in a way that it easily transports the actives like silicon, Polygonum, Harpagophytum, MSM Glucosamine, Arnica Montana, Sytmphtum and Sabal serrulata, through the skin tissues penetrating deep into the skin supporting joints, sensitive skin, muscles and the maintenance of strong bones. Our Silidyn® Muscle & Joint Gel has specially selected ingredients for support of supple joints, strong bones, relaxed muscles and resilient skin. It has a lasting effect through quick absorption through the skin. Due to the hydrated environment the very small particles are being released to be absorbed into the connective tissue with one characteristic of OSA being the synergy with a diversity of active ingredients, which can be very effectively used in the support of healthy muscles, joints and bones. The use of Silidyn’s® highly absorbable OSA Muscle & Joint Gel has a potentiating effect and offers a very powerful impetus for support making it one of the world’s most effective muscle & joint gels. Dermatologically tested cosmetic, free of synthetic and mineral oils, parabens, harmful ingredients, additives, paraffin substances and free of mineral hydrocarbons. Due to its multifunctional applicability Silidyn® Muscle and Joint Gel is targeted and effective for several indications. Quick absorption through the skin. 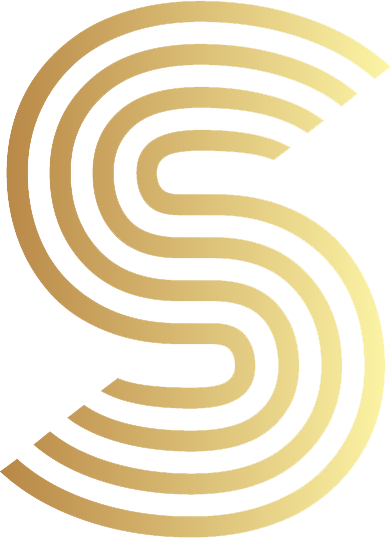 (OSA) Ortho Silicic Acid is a unique and patented form of silicon, which after extensive research, has been made available for cosmetic applications. This has resulted in a breakthrough as for the first time a stabilized form of fully skin absorbable OSA is now available in cosmetic creams and gel substances. Due to the hydrated environment the very small particles are being released to be absorbed into the connective tissue. One characteristic of OSA is the synergy with a diversity of active ingredients, which can be very effectively used in the support of healthy muscles, joints and bones. “The stratum corneum of the skin acts as a tough barrier that protects the body against the influences from the environment. It consists of flat, protein-rich corneocytes embedded in an intercellular lipid matrix (ceramides, free fatty acids and cholesterol). Agents that penetrate the skin need to pass this intercellular lipid matrix. Modes of access of substances into the skin are made difficult by the by the very nature of the stratum corneum barrier composition. However, substances can penetrate this barrier through two main routes; intracellular and intercellular. Studies and clinical methods have shown this. In fact, more often you see medicines in transdermal dosage forms. Within the skin there are numerous different target sites. Not only the stratum corneum, but also the viable epidermis, epidermal-dermal interface, pilosebaceous ducts and hair follicles. More often than not, active substances will act on several of these target sites. The rheology of a product is important in terms of its brake point that occurs when rubbed into/onto skin surface. Even though it is difficult to penetrate the stratum corneum, studies have shown that it is possible for actives to cross this barrier. – vitamin A and its derivatives are fat soluble and easy to absorb through the skin. It is possible to create a substance that penetrates the stratum corneum and let it’s actives find their way through the skin. MSM, Glucosamine, Arnica, Montana, Symphytum and Sabal serrulata, through the skin to the tissues”.